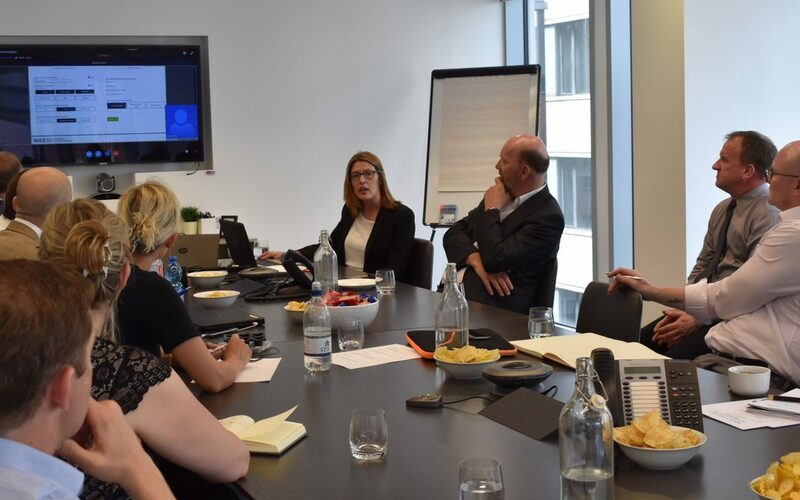 At our latest members’ meeting, attendees gained first-hand advice on best practice in NICE submissions and assessments and were given a live demo of the HealthTech Connect system (formerly known as MedTechScan), the new horizon scanning tool for medical technologies. Sheryl Warttig and David Sissling from the NICE Centre for Health Technology Evaluation gave a thorough introduction to the HealthTech Connect tool, which allows companies to safely input information about their products at any stage of development. The system provides feedback, signposts companies to relevant literature and supports companies in how best to proceed if a product is ready for NICE guidance and will be NHS England’s first source of information on MedTech products and will be using this system for commissioning. Companies can also use the tool as a resource by outlining what support they need, whether that be market access support or assistance gathering clinical evidence. Members were excited to have a live demonstration of the tool ahead of its official launch later this year. Paul Dimmock, Technical Adviser at the NICE Centre for Health Technology Evaluation gave a thorough presentation on best practice on NICE submissions, advising companies on how best to utilise data when possible and clarified the advice they could expect to receive from NICE, prior to guidance. Paul also gave members an insight into NICE’s efforts to develop a more unified approach to guidance, which he hoped would be more streamlined in the future.